Read The Missing Girl and discover learning can be fun! 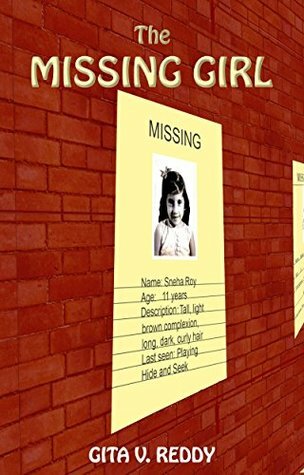 After a game of hide and seek with her brother and friends, Sneha goes missing. The presence of a strange car points to kidnap. The police are called in. But Sneha is not kidnapped. She is in the midst of an adventure, an adventure of a different kind. Bonus Story: Adi The Virus. Adi is very talkative. Wherever he is made to sit in class, he gets his neighbour into trouble by talking. His teacher calls him Adi the Virus. Sneha plays hide and seek with her brother and their friends but when everyone goes home, she is missing. She hid behind a car and decided that getting into the trunk would be a better hiding place. Unfortunately, the car takes off with Sneha inside. She ends up at a big, old house and ends up having a good time with the strange inhabitant. The Missing Girl is a short chapter book with an adventure that starts out scary but turns out fun. It even teaches that science is fun and includes terms from science that children will learn without even knowing it! The bonus story, “Adi The Virus,” is a sweet story about a boy who is talkative and often disrupts the class…until he’s put next to the right person. Suddenly, he’s not disruptive anymore but appreciated. Gita V.Reddy lives in Hyderabad, India, with her husband and son. She writes fiction for both adults and children. Her books for children are written when she takes a break from writing for adults and vice verca. She enjoys thinking up tales of different genres and has written historical fiction, women’s fiction, and recently has made a foray into regency romance. For children, she has written mysteries, adventure tales, fantasy, science fiction, and also a fable. In addition to writing, she is interested in art and has illustrated three picture books. Ms Reddy is a post graduate in Mathematics. In an earlier life that she voluntarily quit in 2011, she was senior manager in a bank. 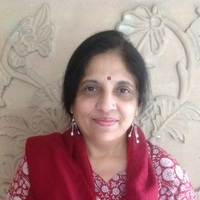 To know more about her and her writing journey, please visit her website, https://www.gitavreddy.com. ← Are You a Laborer, Craftsman, or an Artist?